Whether you're a fashion week devotee or someone who yawns at the thought of runways and trend reports, a can make your life so much easier. Personally, I like to think of myself as the former, but if I don't have the right basics to get creative with. Think about it: How many times have you stared at a closet full of clothes thinking I have nothing to wear to work? Sometimes it's because we haven't shopped for pieces that are versatile enough (or durable enough) to wear again and again and still feel fresh, and other times it's because we keep splurging on fun going-out clothes, special-event attire, or—now that it's summer (all smiles here)—. Since the solution lies in building a summer work capsule wardrobe—and because I'm always finding fashion inspiration from my —I decided to ask each MyDomaine editor to share the staples they all summer long. To start building your own summer wardrobe capsule, read about the we wear on repeat, and then shop your favorites. 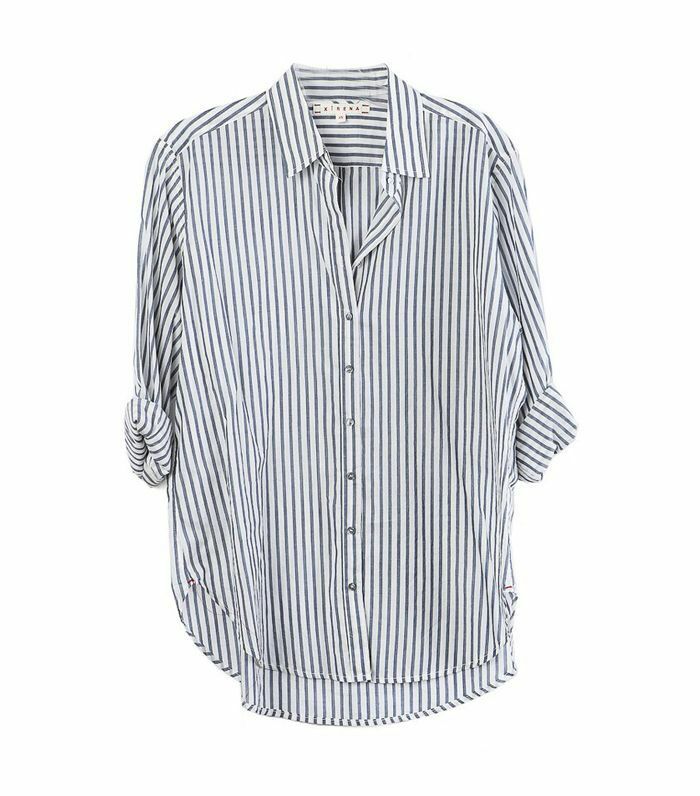 A Striped Button-Down: My dad gave me three of his old striped button-down shirts, and they have saved my morning routine so many times. I wear them with different denim styles and skirts, and sometimes even over a dress. The oversize look is stylish and comfortable. And if I'm going out after work, I just turn it into an off-the-shoulder shirt for a less professional vibe. 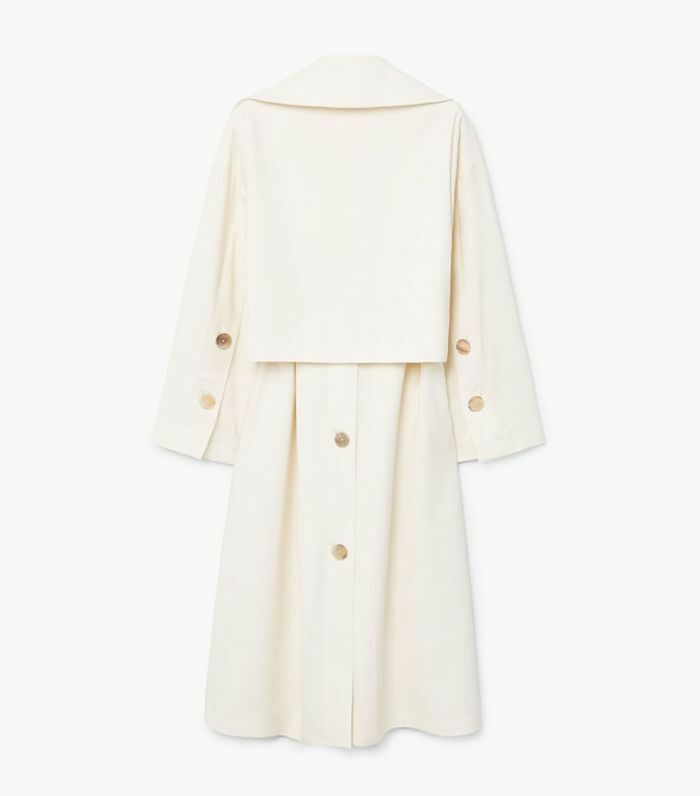 A Light Trench: A leather jacket feels too heavy for the summer, and sometimes a denim jacket is too casual, so a light trench is my favorite summer office outerwear. I usually only throw one on during my walk or commute if it's raining out, and I keep it by my desk to save the day if the office AC is blasting. 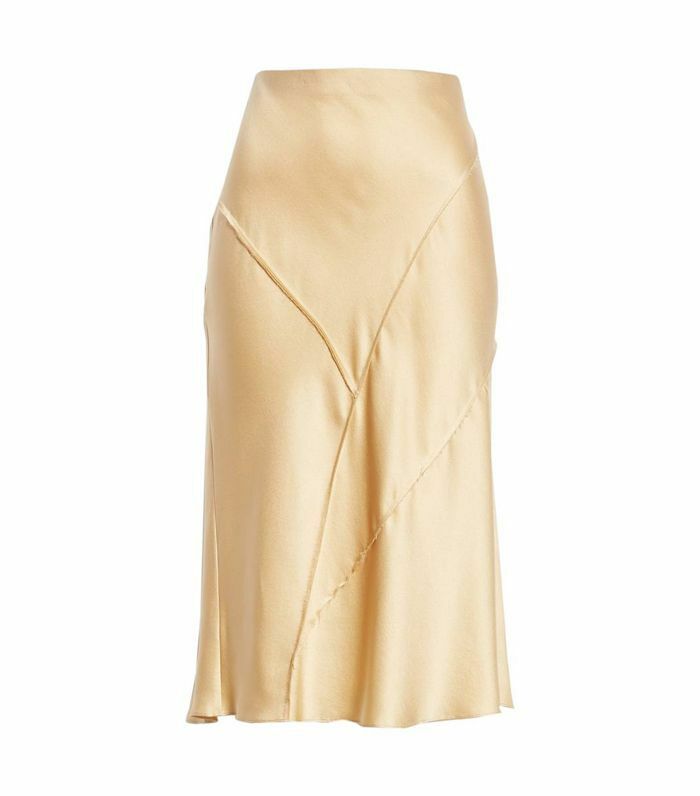 A Midi Skirt: I have three midi skirts I wear on repeat all summer long, and my favorite is a silk option. It's flowy and breathable without being so flimsy that it blows up during my commute, and the material exudes elegance. Opting for a solid color means you can mix and match it with other blouses throughout the season. And when I'm not in a midi skirt, I'm in a pair of jeans or a pair of light, breathable trousers (with a matching blazer if I'm feeling bold). 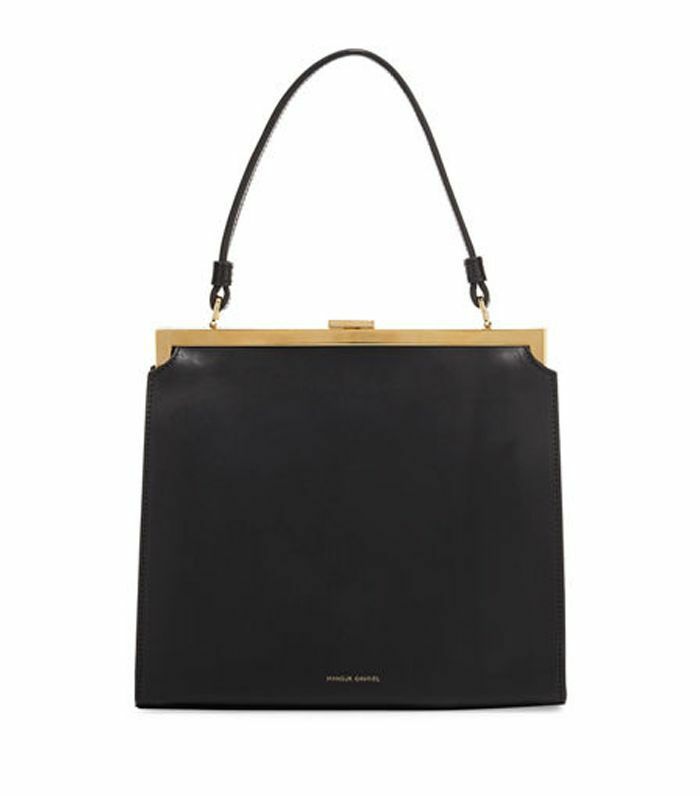 Top Handle Bag: This purse is by far my favorite piece in my wardrobe. It instantly elevates any outfit, and the inky hue ensures it'll go with everything, which is key for me when shopping for bags, since I love wearing shoes in bright colors (like these ) and clothes with bold prints. A Midi Dress: "I just bought this in the apple-butter color, and I've worn it to work (with a over the top half to create the illusion of a midi skirt), to a wedding, and around on the weekends. 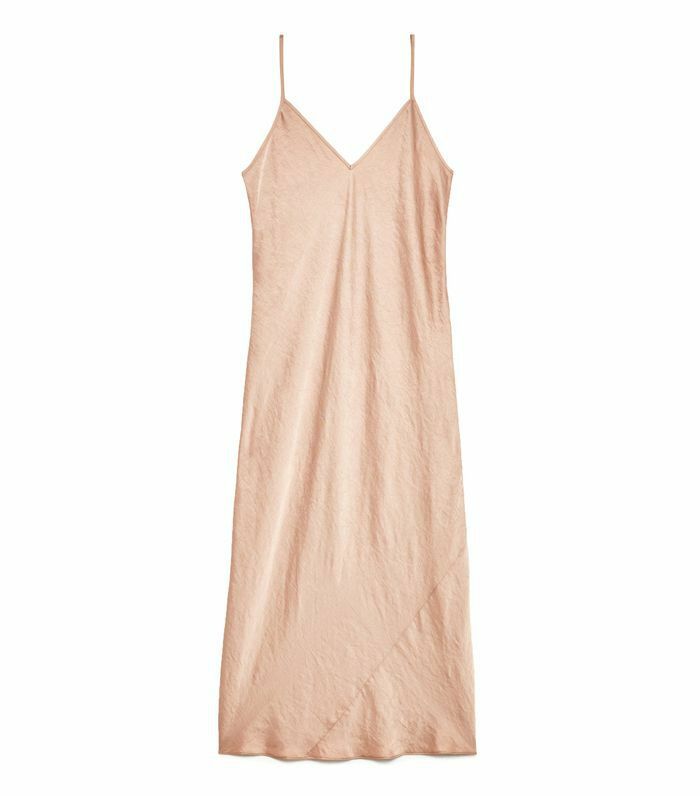 It's extremely flattering, comfortable, and not at all see-through (which can happen with silk dresses). 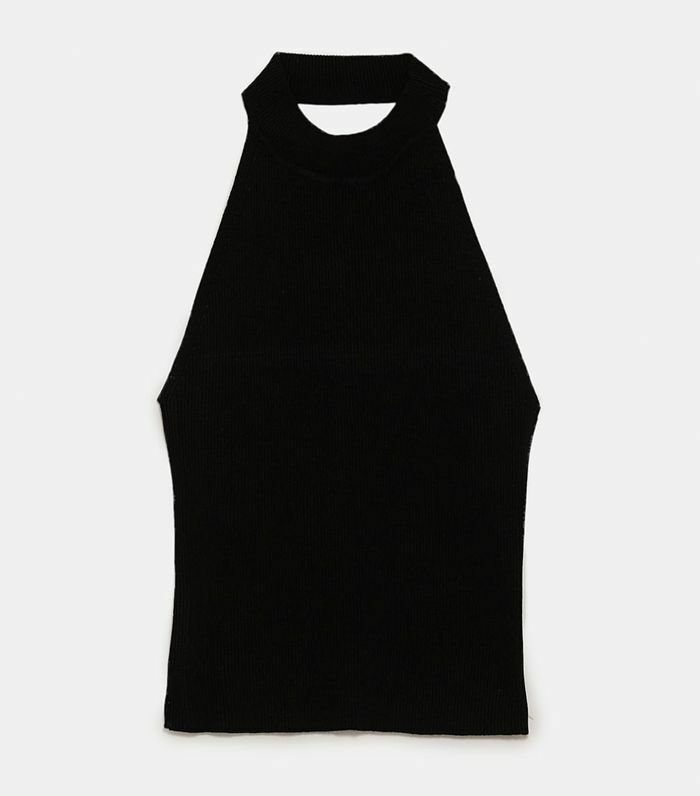 While a slip dress may seem risqué for work (and it definitely may be for some offices), it looks great layered over a T-shirt (or turtleneck in the winter) with a blazer or leather jacket over top. I'm tempted to order it in every color. 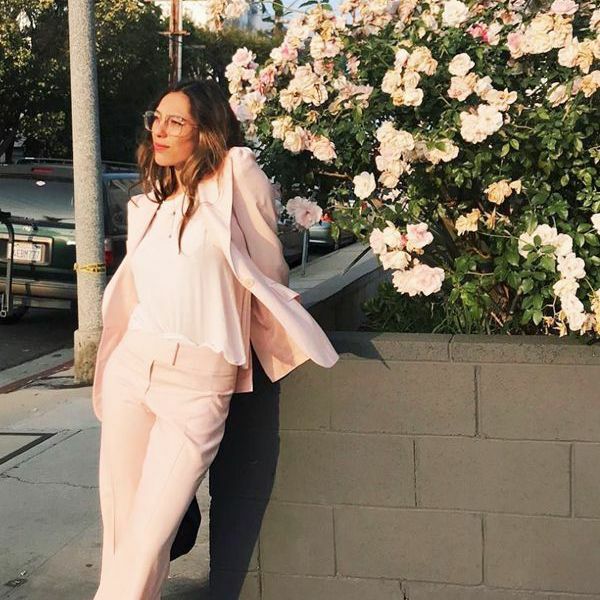 And speaking of blazers, no work wardrobe is complete without a well-tailored blazer; we all love Anine Bing's Madeline blazer at MyDomaine (and so does everyone else—it's constantly sold out). I love the brown checked color due to the vintage feel." 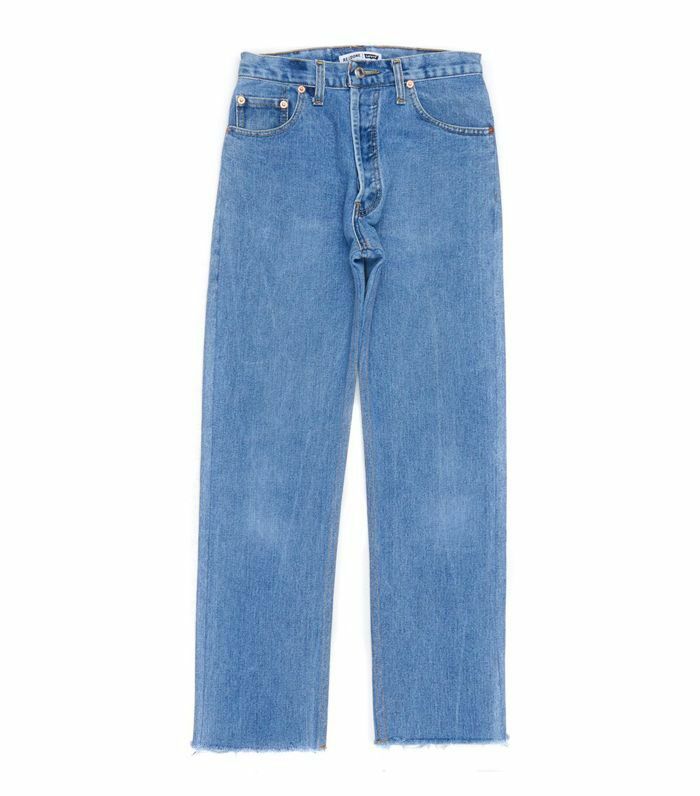 A Classic Pair of Jeans: "I basically live in vintage Levi jeans, and RE/DONE's reconstructed version fit like a glove; I have yet to find a better fit in any vintage pair (and I've spent countless hours searching). Although it can be difficult to find the perfect fit, as each RE/DONE pair is one-of-a-kind, it's well worth the hunt. I love both the stovepipe cut and the high-rise ankle crop, and always opt for no holes so I feel comfortable wearing them to work. 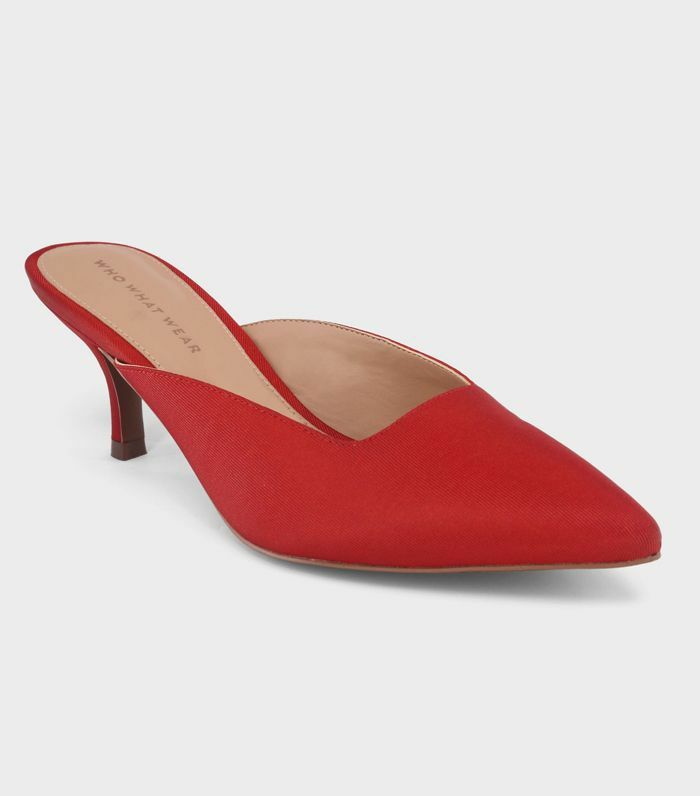 They're a bit of an investment, but I wear these to the office, on the weekends, and throughout all four seasons of the year; they're my go-to." Available in sizes 5.5 to 10.5. 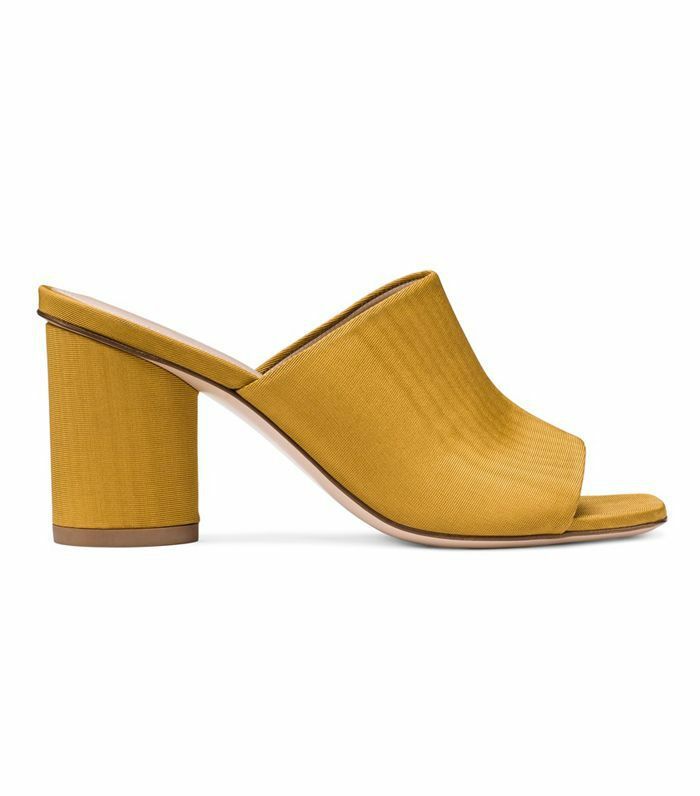 A Paid of Block Heels: "Understated heeled mules are a must, and I love the look of this Stuart Weitzman pair. The minimalist silhouette stands out to me because they don't use too much material on the strap. While I have a more wallet-friendly version of these, I wear them everywhere—to work, on the weekends, to weddings, and to more formal functions, and with dresses, skirts, or jeans. The three-inch heel is also ideal; they're not so high that you'll subconsciously avoid wearing them because of the discomfort, but they're still high enough that they dress up a pair of jeans." A Simple Necklace: "Lucy Williams of Fashion Me Now has quickly become one of my favorite fashion bloggers, and I love her collaboration pieces with Missoma. 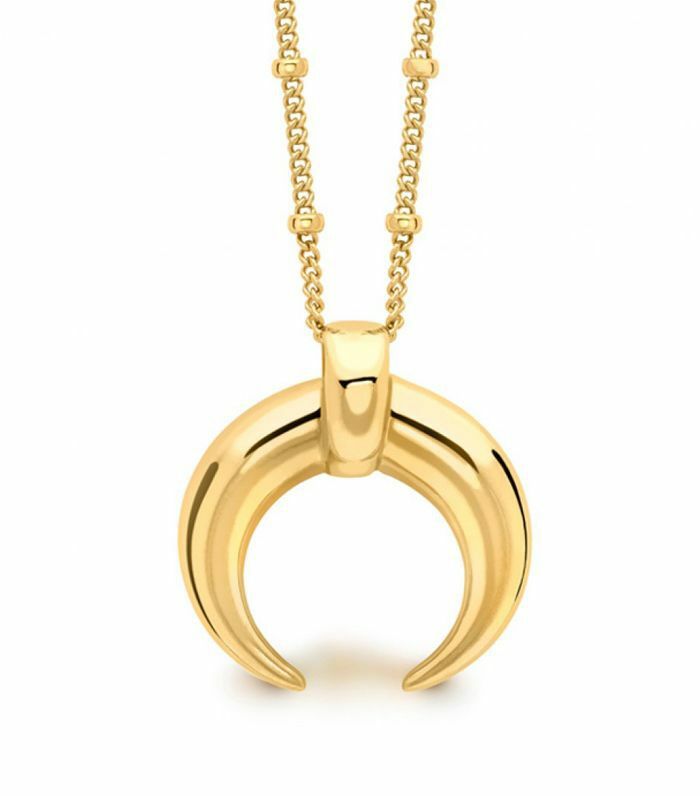 I've had my eye on the gold horn necklace and the rope coin necklace for months, but have opted for more wallet-friendly versions in the meantime. They pretty much top off every single outfit I wear, whether it's a T-shirt, blazer, and jeans situation at work or accessorizing a dress at a wedding." 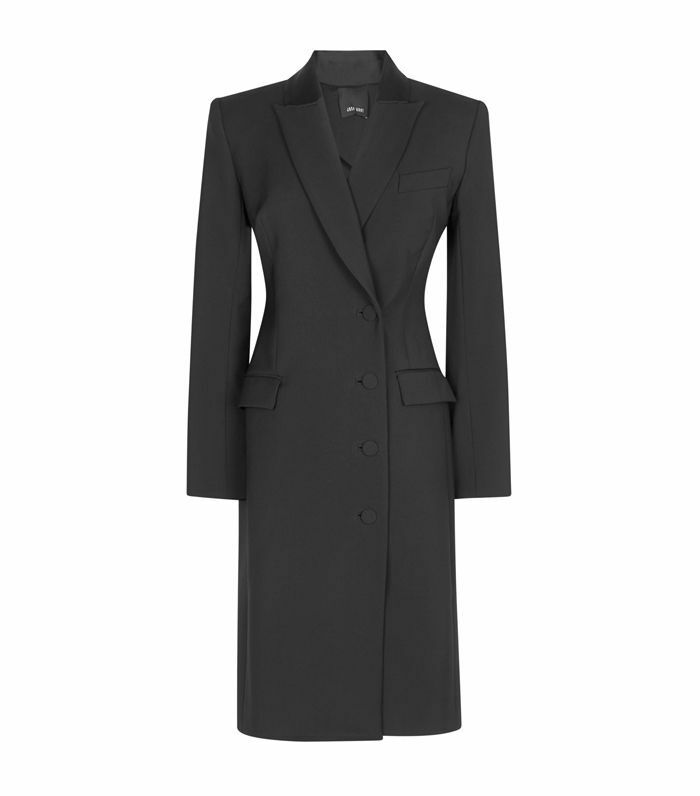 A Coat Dress: "I live in this blazer. It's a classic workwear staple that also looks great with denim for a more casual look on the weekends. I love the length for layering with pants, and it also looks great with mid-length skirts too." A Top to Layer: "This knit goes with absolutely everything. It looks great with skirts, tailored pants, and jeans on the weekend. I wear it all the time, and it's also incredibly affordable." A Basic T-Shirt: "If there's one thing I have in multiples, it's T-shirts. All of them are black and white. I keep my palette simple and monochromatic for work and pleasure." Leather Leggings: "I love layering up, and since it's so cold in the office, I wear leather leggings with everything. I often layer dresses and skirts over them with a blazer to give it a professional touch. While expensive at the outset, leather leggings are truly an investment piece you can wear to work and on the weekends. I've had mine for years, and they just get better with age. 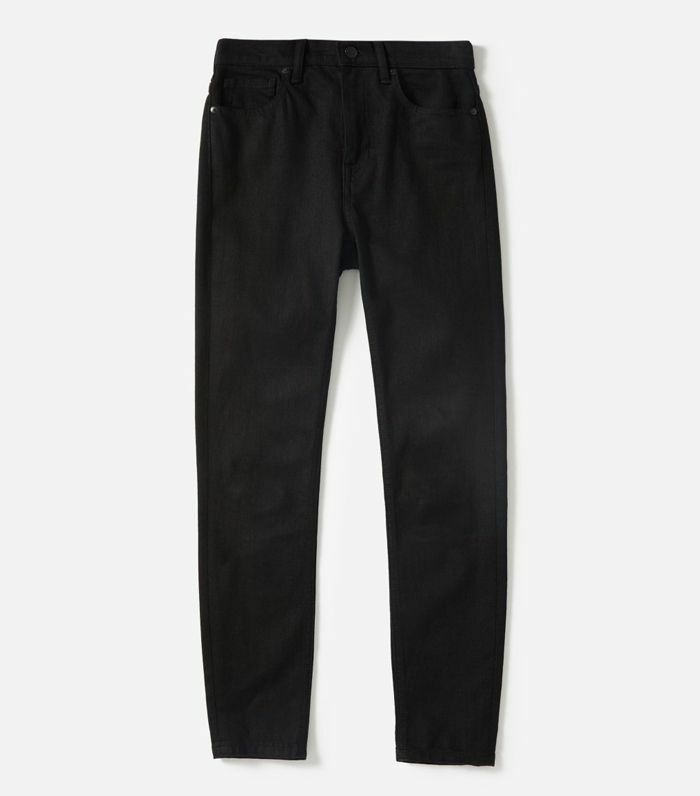 I also love high-waisted pants, and these are an absolute favorite. They're so comfortable and look professional without overdoing it. Everyone in the office is obsessed." 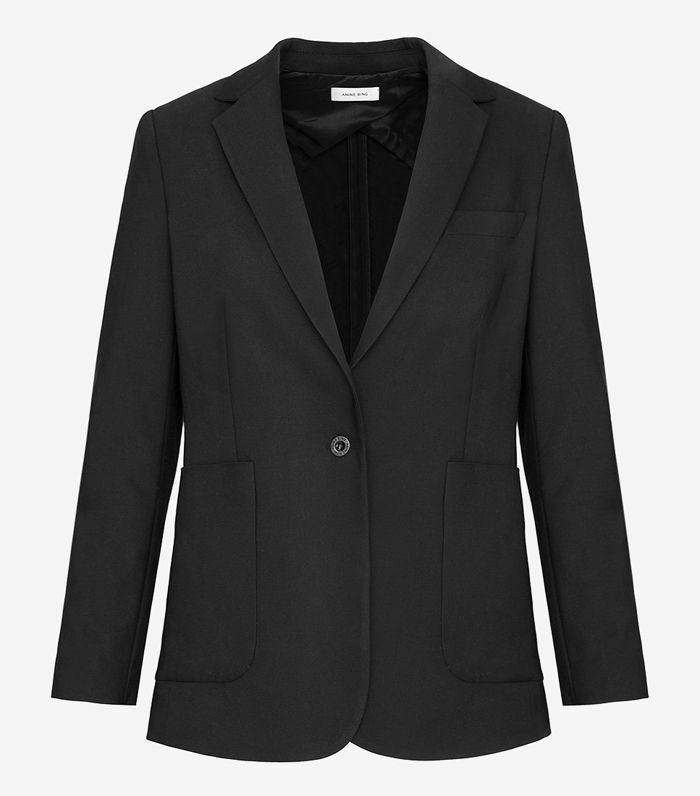 A Black Blazer: "A well-tailored blazer is such an easy way to elevate any outfit. 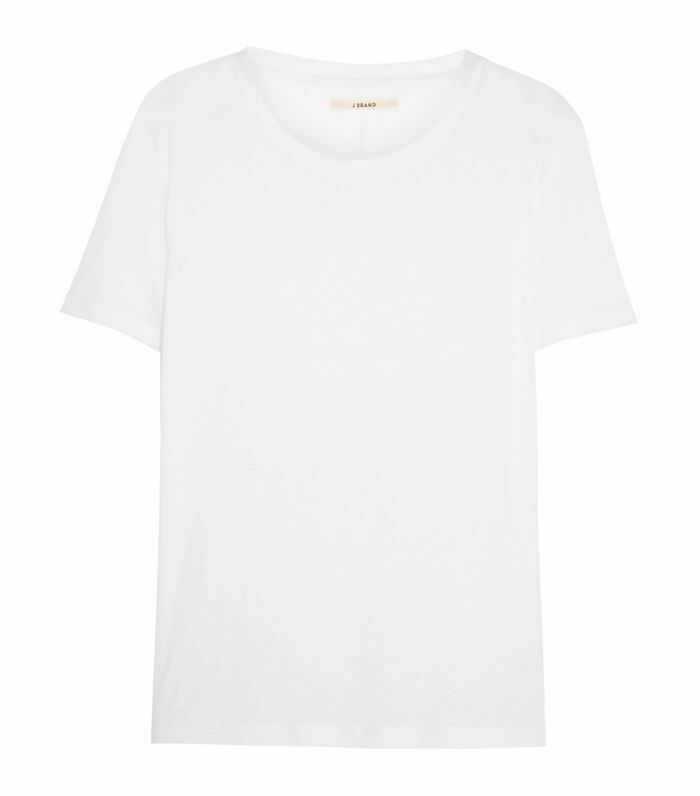 I tend to wear this Anine Bing one with a simple tee, jeans, and heels for a casual but somewhat professional look." 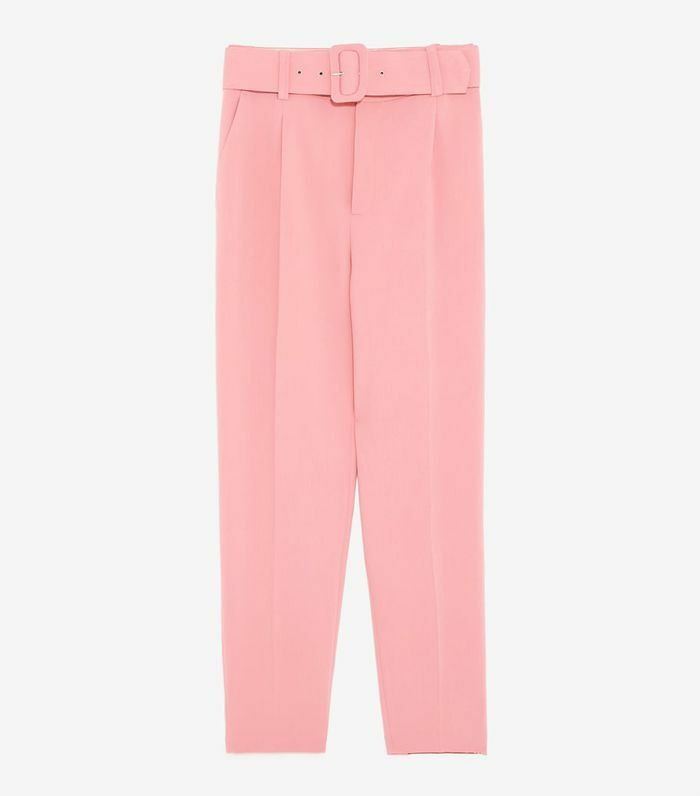 Comfortable Statement Pants: "I just bought these Zara pants and can't get enough of them. They're well-tailored with tapered legs and a matching fabric belt. I pair them with a crisp white shirt or bright red T-shirt. And when it's too hot for pants, go for a breathable wrap dress. are my default lazy-day outfit. When I sleep in and don't have the time/energy to choose what to wear, I throw one on and am dressed in a flash. I pair it with gold hoops and a bucket bag, and am ready to go." 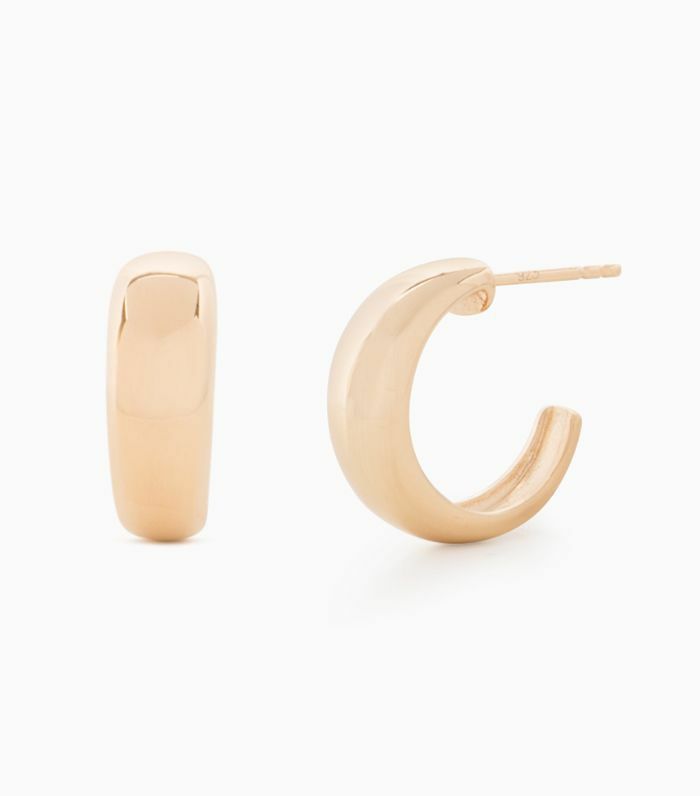 Classic Gold Hoops: "I discovered direct-to-consumer jewelry brand Mejuri on Instagram and love its quality, affordable staples. These gold vermeil hoops are classic and understated. Another staple accessory to try this summer is a bucket bag. Accessories are a great way to dress up workwear staples and make them a bit more trend forward. I swapped out my crossbody bag for this spring, and it makes a simple black outfit look a bit more modern." Bold Kitten Heels: "I wear these shoes at least three times a week! They're so versatile and instantly make my standard jeans-and-blazer ensemble look a bit more polished. Bonus: They're $38." 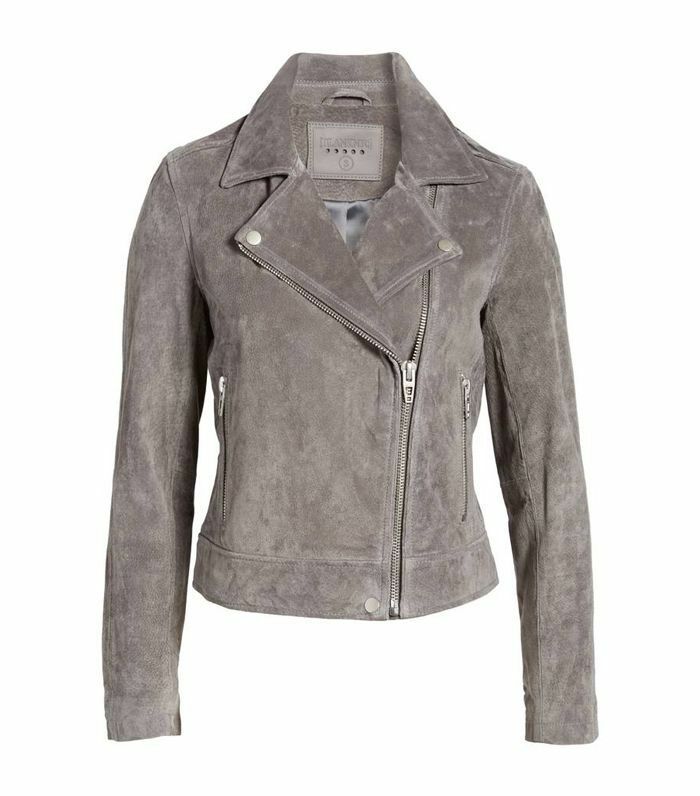 A Suede Moto Jacket: "This suede moto jacket goes with just about anything. I love that it's not a typical leather jacket; it transforms any basic look into something with a bit more edge." 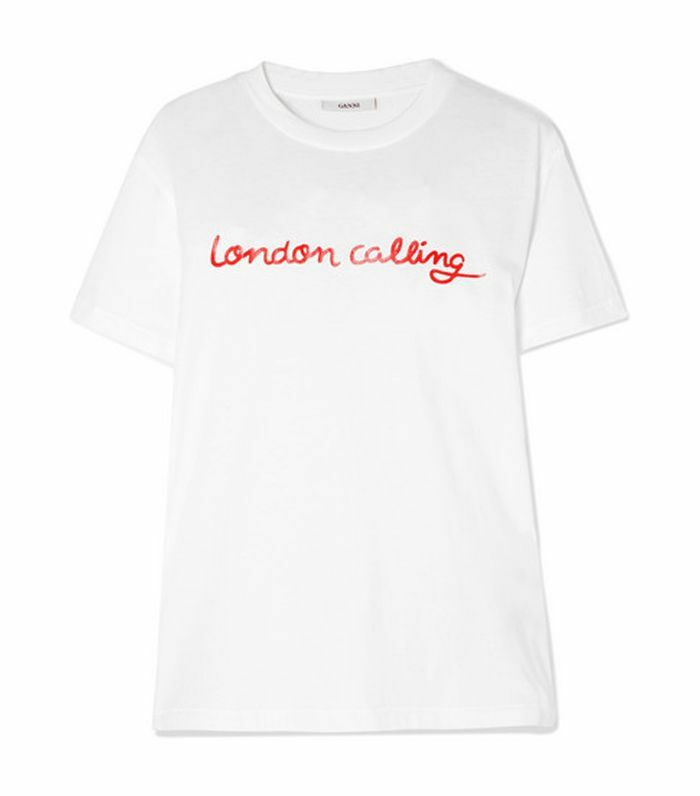 A Graphic T-Shirt: "I tend to gravitate toward more statement-making pants, so a basic T-shirt is perfect for adding a casual touch. You can dress it up with a blazer or dress it down with a pair of jeans." 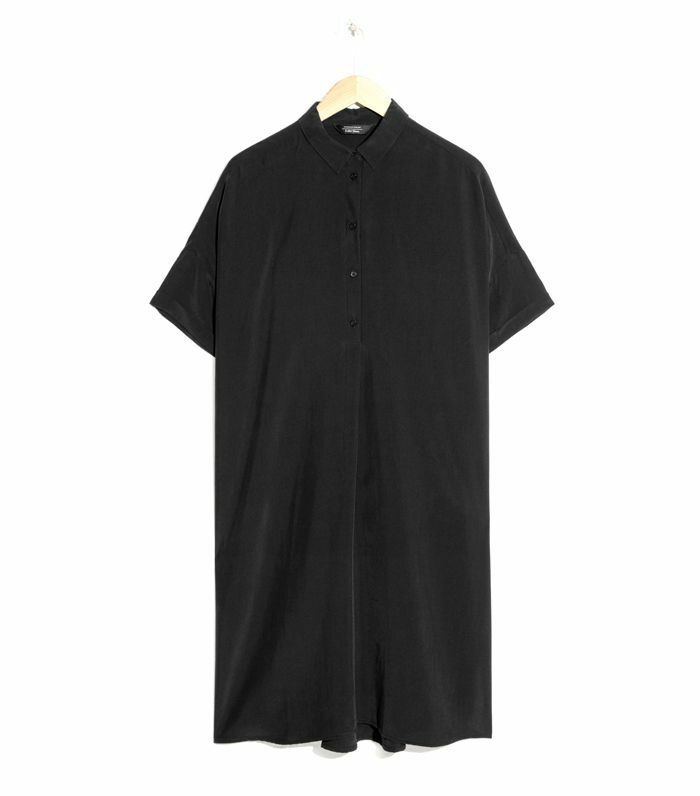 A Shirtdress: "An oversize shirtdress is a great option for a summer work dress. It's a play on a men's button-down, making it feel fit for the office, but it's still loose, fun, and easy to throw on in the morning. If it's a pants kind of day, slip into a pair of palazzos. I love a good pair of palazzo pants with a cinched waist. They're flattering, professional, and extremely comfortable." Sunglasses: "I love these classic black sunglasses. Living in Los Angeles, they're a commute staple and also perfect for afternoons spent working outside on the patio." A Printed Silk Blouse: "A silk shirt is classic and timeless, but far from boring (and still office-appropriate) in a seasonal print. If you need something to throw on top, anything from a jean jacket to a leather option will work. is my go-to for going from typing at my desk by day to grabbing drinks with friends by night." 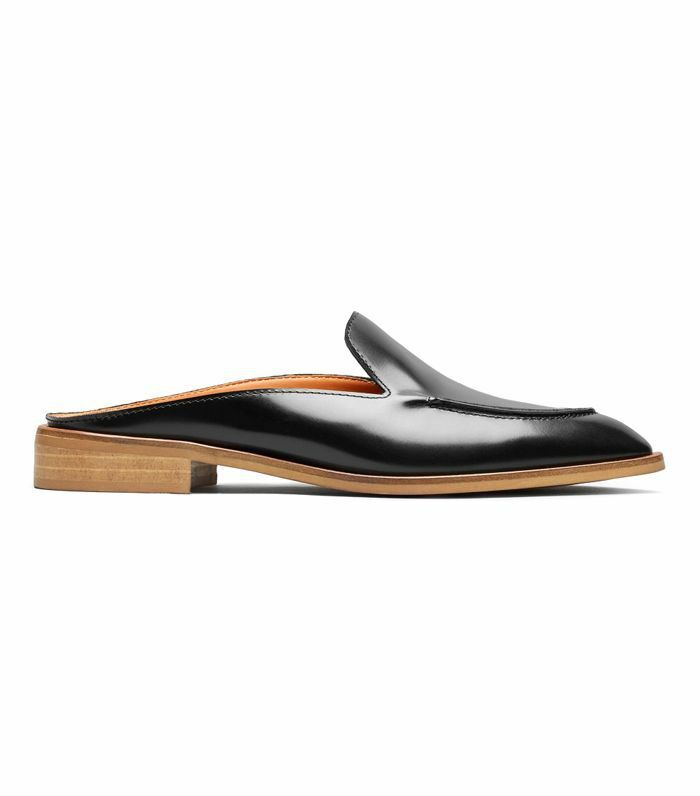 Comfortable Flats: "I dress up these all-purpose loafer slides up during the week, and then pair them with a sweater and light-wash jeans on the weekend." Black Skinny Jeans: "Our office is relatively casual, and these versatile black jeans are a favorite in my weekly workwear rotation." 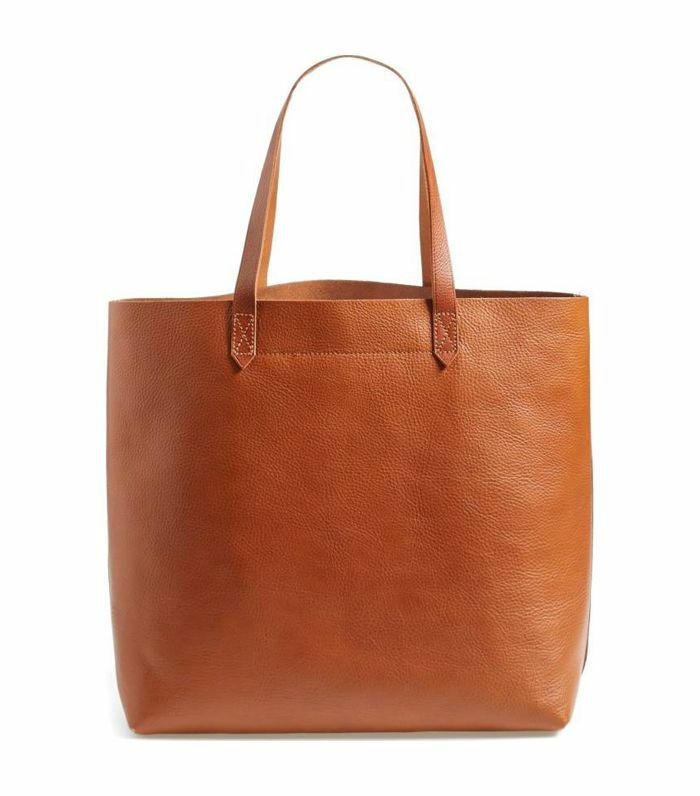 A Leather Tote: "I love that this tote is big enough to carry my laptop yet presentable enough to take along to industry-related events after 5 p.m."
Узнайте про авторитетный сайт про направление www.yarema.ua.